An overview of the key functional pieces that make up a SaaSquatch Growth Automation program. While the features, goals, and intended audience of each Growth Automation program can be extremely varied, there are a number of core functional components that are included in every program. This article outlines what each of these components are, and how they work together to make each Growth Automation program function. One of the foundational pieces of the SaaSquatch Growth Automation platform is the ability to pass SaaSquatch User Events about the activity of participants within your product. Any time a user interacts with your system, you would send SaaSquatch an event with details about this interaction. With each of these (and any other events you pass over), the more information you provide with the User Event, the more granual control is available in the SaaSquatch system when processing these events. These events are then leveraged to update user information and trigger actions within your running Growth Automation programs. Each time a User Event is sent to SaaSquatch, the system evaluates this event against each of your configured Growth Automation programs. If the event, and the contents of the event, matches the configured program rules, then that will trigger further action by the SaaSquatch system. Curious about pre-configured rule options? Check out our Growth Automation program library for more information on what each turnkey program can do. Driving user engagement with each of your Growth Automation programs is an important component of increasing participation. One of the most powerful ways to drive this engagement is through the use of visual pieces displayed to your users within your product/behind your web login. 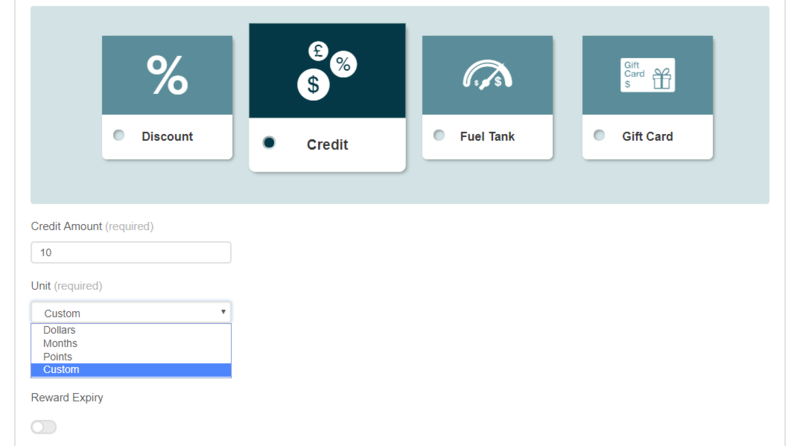 These widgets can be placed on a page, or underneath a button within your product/behind your login, and provide an easy way to facilitate this engagment. The messaging, layout, and design of these widgets can be customized to match your brand, and the type of program they are being used to drive engagement for. The SaaSquatch system is able to send out notification emails to participants in each of your SaaSquatch Growth Automation programs. From within the SaaSquatch portal you can preview, modify, and edit these notification email templates. 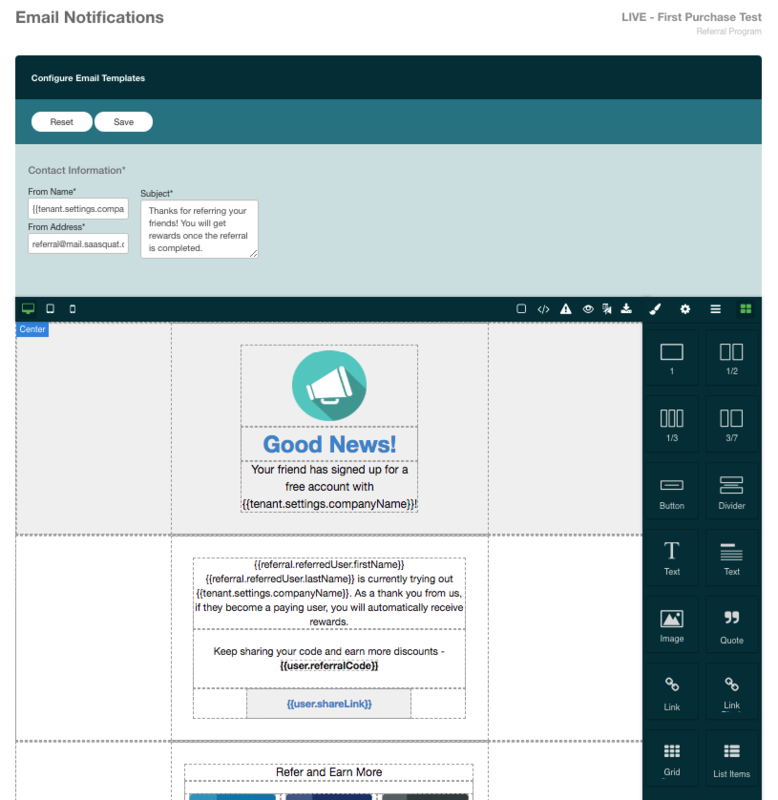 Each of these email templates can be customized in our drag-and-drop email editor, where you can adjust the layout, design, messaging, and images in each of the program’s available email templates. Learn more about the email functionality available in the SaaSquatch system in our email guide. The SaaSquatch system is also able to provide rewards to successful program participants. These rewards can be used to rewards specific behaviour within your product/platform, or encourage future activity by the user. 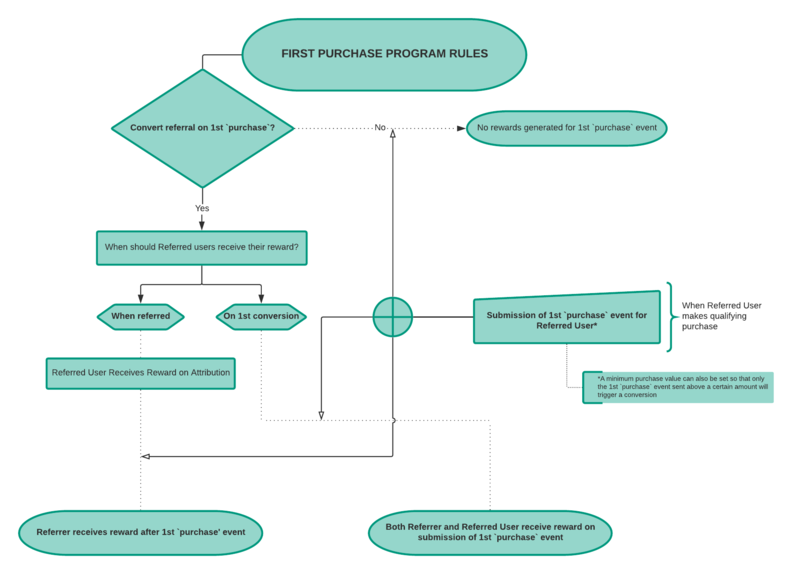 The SaaSquatch system offers a wide range of reward options to cater to different business models, cutomer segments, and stages of the customer lifecycle. Learn more about the available reward options on our Growth Automation platform, and in each of our available programs. Copyright © Referral SaaSquatch.com. All rights reserved.